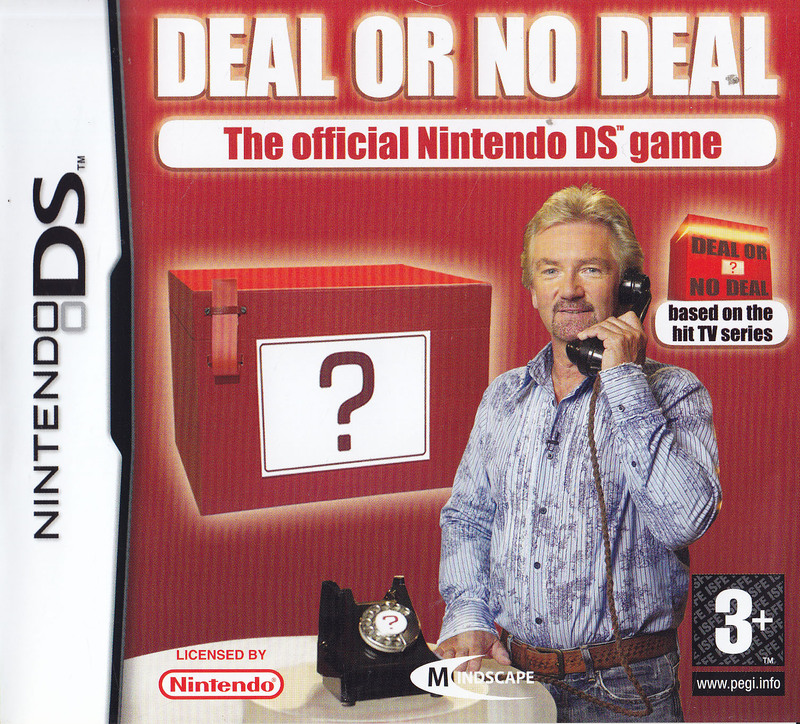 For the first time ever, you can try your luck against The Banker by playing Deal or No Deal on Nintendo DS. Will you make the right deal at the right time or will you be left with nothing? 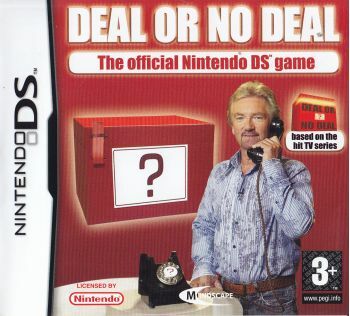 Contestant Mode: take your place in the crazy chair and try and sell your box for the most amount of money possible. Banker mode: play the role of The Banker and try to make the virtual contestant take the lowest amount possible. 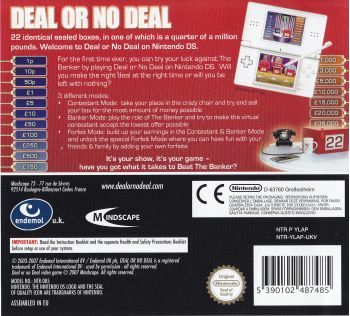 Forfeit mode: build up your earnings in the contestant and banker mode and unlock special forfeit mode where you can have fun with your friends and family by adding special forfeits.